Say goodbye to makeup lines with the BeautyBlender! I constantly have makeup lines. Unfortunately, I usually don’t notice them until after I leave the house or when I see a picture of them glaring at me. I don’t think that it’s a matter of me being makeup challenged but instead being without the right equipment. When I saw the beautyblender I was uncertain if this pretty sponge (which reminded me of an Easter egg) could really be the answer to my poor blending woes. Surprisingly, it is the answer. Thebeautyblender made it really easy to apply my foundation flawlessly. The unique shape not only allowed me to get access to hard to reach areas but it also eliminated the streaks caused by applying with my fingers or those cheap foam sharp-edged sponges. I also really liked how easy it was to apply makeup around my eyes with the pointed tip! New techniques were learned too – thank you beautyblender! You simply wet the beautyblender, place your foundation on the round bottom, and then basically bounce the applicator against your face to apply your makeup. Apparently this bouncing concept is common knowledge to skilled makeup artists but it still sounds strange and I was pretty sure I would wind up looking like I had leopard spots on my face. Yet it really does an amazing job and the coolest part is that it did a great job of working with the texture of my skin. I have blotchy raised areas on my cheeks and usually they look cakey when I apply foundation. Using the beautyblender left those areas looking even with the rest of my face. You can even use the beautyblender to apply blush to your cheeks, so you no longer need to carry lots of different applicators for your makeup. Another added plus – it’s easy to clean and maintain (no need to keep buying and tossing sponges). All you have to do is wash it after each use and place it back in it’s pedestal case to dry. It’s latex free, non-allergenic, and odor free. I really like the soft suede texture. It feels so smooth and clean when I use it to apply my makeup. This non-disposable, eco-friendly beauty solution can be purchased from a number of retailers – Sephora has it for $19.95 for one or $25.95 for two (it would be nice to keep one in your makeup bag and one in your bathroom). Simply Stated: I love this magic pink makeup solution. You simply have to try it yourself to see the difference. Special thanks to BeautyBlender for providing a sample for review purposes. As the only leading lady along side Mitchel Musso on the Disney XD original series “Pair of Kings”, Starpulse caught up with brunette beauty Kelsey Chow to find out how she keeps her fashion and beauty trends in check on and off the set of this live action teen sitcom. Your red carpet style is always so chic. How do you decide what to wear to an event? I try to keep it fresh in terms of the type or theme of the event and what I wore to the last one. Most importantly, I want to feel comfortable in what I wear. What labels or stores are you loving right now? Any Spring fashion trends you are shopping for? Shakuhachi and Isabel Marant. I love mixing prints. The costume designer for “Pair of Kings” and I have actually incorporated the trend for my character ‘Mikayla’. How do you keep your hair looking gorgeous? I guess I’ll have to give my parents credit for that! I try not to overstyle it and keep the ends trimmed. If we were to look on your vanity, what beauty products would Starpulse find? Have you learned any makeup tricks or tips on set you can share with our readers? 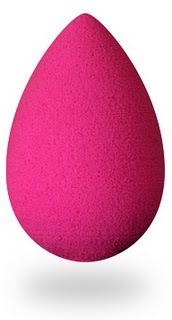 The ‘beautyblender’… Every makeup artist I’ve worked with in NY and LA for the past 6 months has used this applicator. Check it out, you won’t be disappointed! Makeup Artist Dedra Whitt Shares Camille’s Beauty Secrets! Camille’s makeup artist dishes on the Real Housewife’s favorite beauty tips and secrets! Dedra Whitt is Camille Grammer’s best friend and makeup artist, so she knows the Real Housewives of Beverly Hills star so well! Dedra tells us all about working with Camille, and how they get her looking so beautiful for the Bravo cameras. Tanning Products: Though Camille’s glow is mostly natural from tanning outside, Dedra uses Sally Hansen tanning spray to enhance her color: “It actually works! We use it on her body.” (Sounds like Camille knows a beauty bargain when she finds one!) For Camille’s face, Dedra skips the tanning products and instead uses foundation in a slightly darker shade. Such a great tip! Dedra says that she always does Camille’s makeup for the show. “We joke about it. If your best friend is a makeup artist and you don’t know how to do your own makeup, then you ask her to do your makeup every day!” Dedra even traveled to NYC with the housewives for a press tour. Sounds like Dedra and Camille have a truly beautiful friendship! Check out Dedra and Camille’s favorite products below, then try them for yourself! All makeup users have gone through similar woes when they apply their foundation: splotchy, uneven coverage left by conventional makeup sponges and streaky, mask-like finishes from foundation brushes. My own frustration with foundation application ended when I started using the Beauty Blender as it provides a seamless foundation finish and even coverage. Resembling a gaudy Easter egg, the Beauty Blender looks like a peculiar and outlandish little work of art as it rests in its cylindrical pedestal. The Beauty Blender’s tapered shape gives precise application on all areas of the face including the nose and mouth. The trick to achieving the ideal finish with the Beauty Blender is to use it damp. After running the Beauty Blender under the sink and squeezing out all the excess water, it has already expanded up to twice its size. It dampness left in the Beauty Blender not only inhibits the product from absorbing immediately into the sponge, but also prevents streaks and smudge. The result? A soft-focus, airbrushed finish. It is essential that you DO NOT drag the product over your face with the sponge. The Beauty Blender is designed for the “stippling” technique, which is a gentle bouncing or dabbing motion. Its unconventional three-dimensional structure is ideal for the stippling technique, allowing makeup artists and lovers free range with their favorite makeup products. One of the many wonderful things about the Beauty Blender is that it is reusable for up to three or four months. Make sure to wash your Beauty Blender thoroughly after each use. The cleanser provided by Beauty Blender does a good job in removing the leftover product, but an ordinary foaming face wash works just as beautifully. Keep the packaging that comes with the product. After washing, place the Beauty Blender on top of its pedestal to dry. What’s great about it is its elliptical shape that makes application foolproof by allowing you to access hard-to-reach areas. Its suede texture is smooth to the touch and its unique curves fit the contours of your face, so application is easier. Q – As the beauty expert, what would you say are the biggest beauty trends for spring/summer 2011? A – Bright, matte lips—think day-glo pink (seen at Jil Sander) and tangerine (seen at Marni)—are going to be the biggest makeup trends for spring/summer. Q – What’s the biggest beauty blunder women make and how can they avoid it? A – Women sometimes OD on makeup, especially foundation. Mistakes include wearing too much (so it looks cakey), wearing the wrong shade, and not blending correctly (which can result in a makeup line at the jaw). My trick: Take a few samples home so you can determine the best shade and look at your face in different lighting. Then apply it with a damp sponge (I love the Beauty Blender)—it sheers the formula out a bit and prevents it from looking like a mask. Q – At Beyond the Rack, we’re all about designer fragrance events. Which new scent do you recommend for the upcoming season? A – We’re loving a few designer fragrances right now: Love Chloe, Prada Infusion de Rose, and Marc Jacobs Splash in Curacao. Q – Neon is big for spring. Any tips for women who are afraid of trying such bright makeup for the first time? A – To ease into wearing neon colors, start with a sheer bright gloss: Yves Saint Laurent Gloss Volupté (sheer gloss sticks) deliver a splash of color in an easy-to-wear way. Q – BTR shoppers love their labels but don’t want to break the bank. What essential beauty product for spring 2011 is affordable, too? A – Nails are a huge spring trend and they don’t break the bank. Essie has beautiful shades that are now sold at CVS! We’re loving pearlescent white nails right now. Stay tuned for more beauty tips and skincare essentials from Heather: Part 2 coming soon! In the meantime, work on your glowing, youthful complexion by shopping the Biotherm event on now at BTR until February 4! For more up-to-the-minute beauty news be sure to pick up the latest issue of Allure magazine and check out the Allure website. If there is something I like about cosmetics is that it is common to find products that surprise you. And this is what happened to me Beautyblender.Algunas sure you’ve heard of it, because it is sold for some time in Spain. If I tell you it’s pink egg-shaped, with a plastic stand to air dry after washing with your own solution lavanda.Se happen you think it is a sponge to apply makeup? Let’s see, in order … I present to Beautyblender! This makeup sponge has caused a furor in the U.S. and half the world, and has become indispensable among the best makeup artists, being hailed by millions of consumidoras.Además have garnered multiple awards cosmetics. But why the success of Beautyblender? Well I tell you, this sponge contains no edges, is a “perfect egg” that can apply makeup evenly and professionally finished. Can be used with all types of makeup: fluid, compact, mineral, plus colorete.Su sharp end is used to apply concealer and allows dramatic results in eye shadows. And is that your creative Rea Ann Silva, professional makeup artist with 20 years experience in the fashion world, and responsible for most popular magazine covers, she was tired of not finding the perfect tool to make up, so that created it same. What Beautyblender hides more secrets? Does not contain latex, and is odorless and hypoallergenic. It can be used wet or dry but you get better results if you have been previously soaked, increased by 2 times its volume. Its pedestal is the perfect place to dry outdoors … (no comment). And you can use it to apply self-tanners and sunscreens without leaving streaks or stripes. In addition to not waste product Beautyblender as with other sponges, just take the amount needed. If you want this sponge lasts 4 to 6 months you should clean up after him for that you … utilizarla.Y Blendercleanser. Just press lightly on top of the applicator sponge and massage with a little water to make foam, and then rinse with water. This cleanser formulated with soy and vegetable flavored with lavender, will your perfect sponge and a delicate fragrance … We are giving me I want to use it as a tonic jejejeje. You can try it for the rest of your brushes or brushes. After cleaning, it is best to air dry in plastic pedestal. There are kits to buy everything for a lower price, as the starter kit. In matter ‘makeup’ there are thousands of techniques and tricks that each which diffuses according to their criterion going crazy to hordes of women that are faced to the delicate task of putting a little color to the life. Some they opt for the brush because product is saved, other they opt for the fingers that come us from factory because with them can arrive at any corner of the face, and other, prefer the sponges of latex, since its finished is more uniform. Each system has its pros and its contras, in the case of the sponges of latex, in spite of the fact that they are clean and practical, with them a lot of product is spent since absorbs a good part of the base. And then she arrived. The new revolution in matter makeup arrives from the hand of Beautyblender, a sponge aplicadora natural, without latex, inodora and hypoallergenic, of ergonomic and elliptic form that assures a finished impeccable. Arose of the hand of two prestigious makeup artist of Hollywood: Defendant Ann Forest and Veronica Lorenz, nonconformist with the results that obtained with the habitual techniques and by the excessive quantity of makeup that was spent in each session. They wanted somewhat new, infallible, that arrived at each corner, that adapted to each angle of the face, to the most difficult zones with sum facility, that left the uniform complexion and the makeup to light up fresh and luminous. And they obtained it. Beautyblender serves for any type of makeup: fluids, in dust, compact, mineral, in stick… but also to apply corrector in bags under the eyes and problematic zones, rouges in cream, shadows… is versatile and very practical. But to achieve the better results, one must continue its simple system of utilization: is dampened the sponge with clean water, thus increases in size and does not absorb so much quantity of product, and goes applying gently by means of small taps for all the face, always from inside toward was, or what is the same thing, since the center of the face toward the edges, the makeup every base idea It is to unify the tone, to cover imperfections and to contribute brightness, therefore, the central zone of the face is the one that should remain perfected. The sharp part is thought for zones of difficult access as eyes, nose and contour of the mouth, and the round one, for the largest areas (front, cheeks and chin). They recommend to maintain the sponge Beautyblender clean and free of the greases that are used to having the products of makeup, for which one must clean it frequently so that time in perfect state last us more. The most it recommended product is the one that includes the pack, a soapy soothing solution with lavender and soy that also serves us to clean other tools of makeup as the brushes and paintbrushes. A tip to remove the maximum parted to the Beautyblender: applies the rouge with it splits round. It impregnates the sponge with the product in small quantities, sonríe set against the mirror and you place it with small taps until the cheek goes catching color, a very natural form that assures expensive good effect in cerocoma. Rea Ann Silva, entrepreneur and prominent professional makeup artist, is the Los Angeles-based creator of BeautyBlender (www.beautyblender.net), the hot fuchsia-pink, egg-shaped, edgeless sponge that changed how the world puts on makeup. Silva’s BeautyBlender won Best of Beauty from ALLURE magazine two years in a row, proving that the product was not just a trend item, but a credible tool. Because the sponge is a rounded, three-dimensional oval, it’s superior to wedges or fingers for smoothing on foundation, concealer, blush and all the rest flawlessly. It’s brilliantly packaged with BlenderCleanser, a lavender-botanical wash to keep the sponge immaculate. The packaging even doubles as a platform for air-drying the sponge. The applicator is “non-disposable”, meaning it will last for many, many uses. To keep spent sponges out of the world’s landfills, Silva encourages customers to send them back to her for mass-recycling when they do eventually give up their teeny, tiny, spongy-pink egg-shaped ghosts. This fuchsia rose egg is called Beautyblender, BB for the friends. BB, that is an American sponge, assures to leave the aspect of a film star provided that later you do not make up the eyes as Carmen of Mairena, good that does not say it, but we imagine it us, ¿truth?. It created by a makeup artist of Hollywood, already has been utilized for multitude of celebrities of the movies and the television. The trick for a marvelous skin is a good one blurred, and that is what BB obtains, without marks of courts and with a finished in the perfect skin. Besides does not it spend as much makeup as any another conventional sponge by contain not latex, avoiding allergies in transit. It manages to arrive at the difficult holes thanks to its elliptic form and a finished in egg-tip. And is not only for the bases of any texture, this egg off-road vehicle is ideal also for the mineral makeups, the correctors and the application of the rouge. BB has its own gel of egg Blendercleanser (what charm, with complements as the Barbie) for its cleaning after each use, is done non-alcoholic and is a good option because can also be used to wash the brushes of makeup.